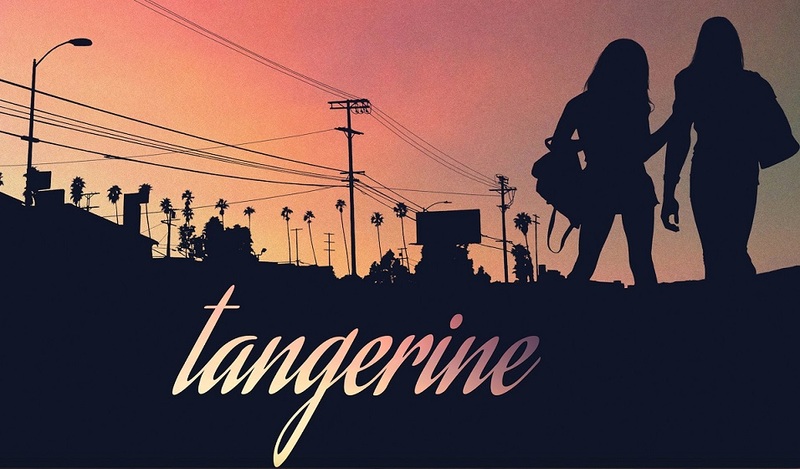 In theory Tangerine sounds like an amazing movie. A movie about two transvestite prostitute working the streets of L.A., one with dreams of becoming a singer; the other just wants to be love by her boyfriend. Entirely shot on an iPhone and weaved together with micro-stories by way of a cab driver, who is also one or the prostitutes customers, and you have yourself a "mainstream art house flick". Well, in theory yes but when you actually get to it, it comes of as a moderate, run-of-the-mill movie. The thing is, this movie wanted very badly to be akin to Larry Clark's Kids (1995), Jonas Akerlund's Spun (2002) and to an extent Doug Liman's GO (1999). But the tone that is hit in those movies is never quite captured by Tangerine. Sure, Tangerine has humor like the others but it is missing that "grit" that made the aforementioned films memorable and impactful. There are two things that hurt the film the most, one is the lackluster dialogue and the other is a miscast lead. The dialogue is weird, some scenes are just painful to the ear but then you'll get a golden nugget from Clu Gulager giving an amazing monologue about how he got his name at birth. The leads are a different story, Mya Taylor plays Alexandra who performs pretty well. She hits all the marks, has some pretty funny scenes but most importantly can act believably. Now Kitana Kiki Rodriguez (Sin-Dee), on the other hand, is very rough around the edges and stumbles over the dialogue throughout the movie. Even her physical acting is clumsy, especially when she finds the woman who her boyfriend has been cheating on her with. (I think the part would have been better suited for John Leguizamo and if you have ever seen To Wong Foo; you know why). Visually Sean Baker did an amazing job shooting with the iPhone. He probably could have gotten better results had he went with a DSLR, but shooting a feature on an iPhone tends to create a little more buzz than traditional means, but what ever the reasoning; he pulled it off nicely. Also the audio is very crisp and clear. It is very apparent that even though it was shot with an iPhone the audio was recorded using quality sound equipment. Even though the dialogue is harsh, the movie does have a solid beginning, middle and end. It might not be the greatest story ever told, but it does tell a story none the less. This is a hard one to call, production wise this is a decently crafted movie. The editing, cinematography and audio are on point. Yet the acting and dialogue leave much to be desired. I'd say it is worth a Netflix watch because of these two things: Clu's monologue; the man shows that at 88 years old he can still captivate an audience with nothing more than a monologue and a extended cameo. The other, I would like to see Baker get the chance to make a movie that is on par with Kids, Go and Spun. He shows the potential is there, it just needs to be refined a bit more.